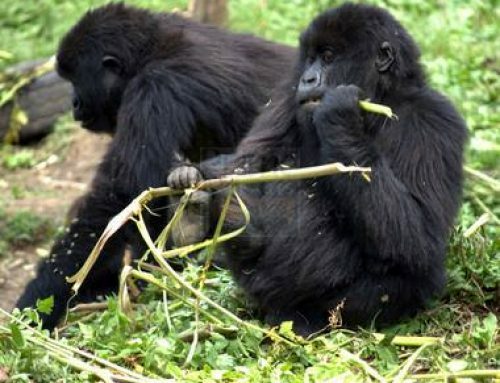 The 6 Days Gorilla Trekking Safaris Tour Rwanda Uganda Wildlife Safari incorporates double gorilla trekking in the Uganda’s Bwindi Impenetrable National Park and Rwanda’s Volcanoes National Park. 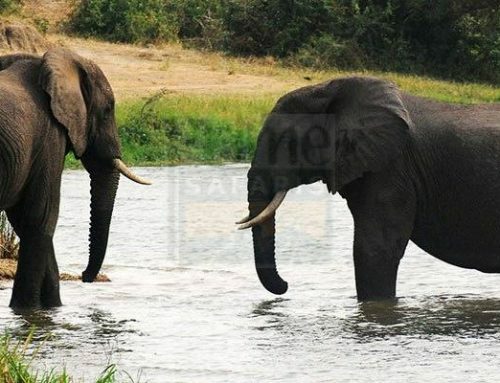 The safari also takes you through the impressive wild life viewing in Queen Elizabeth National Park on the flats of the Alberitne rift and the foothills of the mountains of the Moon – the Rwenzoris. It also incorporates a recreational boat cruise on the lake of a thousand Islands – Lake Bunyonyi and the amazing scenery of Kigezi Highlands and the Virunga ranges. Gather at the respective park headquarter in the morning after an early heavy breakfast for briefing about the gorilla trekking encounter by the park rangers at 8am. 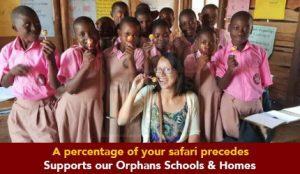 After briefing, you will head to the forest for the thrilling gorilla trekking adventure. The hike across the varied landscapes of Bwindi marked with deep valleys, steep hills and dense vegetation cover is very rewarding. The moment you come across the critically endangered mountain gorillas in their natural habitat is one those must list moments that you can ever encounter in the life time. 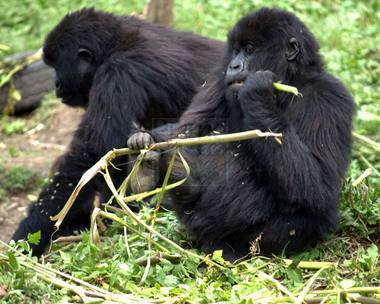 The gorilla trek lasts between 2 – 8 hours and after the one full hour of direct encounter with them; you will return the starting point and transfer to Lake Bunyonyi via the fascinating Kigezi Highlands for relaxation dinner and overnight. After a relaxed breakfast, you will embark on the sun rise boat cruise on the Lake of a thousand Islands – Lake Bunyonyi exploring its main Islands while listening to the local stories about the Lake and its Islands from the local guide. The sights of the birds like Cormorants may not be missed while the magical scenery of Kigezi Highlands will all be around you. 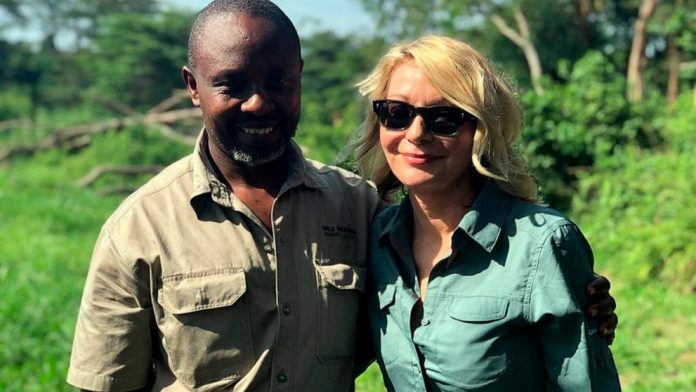 Retreat from the activity and return to lodge for lunch and after which you will embark on the transfer to Rwanda – Volcanoes National Park passing through the scenic Virunga ranges arriving in the evening for relaxation, dinner and overnight. After breakfast, gather at the Kinigi Park headquarters at 8am to start with a briefing session from the rangers about the gorilla trekking conduct. The before trek experience is spiced by a cup of coffee grown from the Rwandan soils amidst traditional Kinyarwanda performances. After this session, you will be allocated a respective gorilla family to track and head to the forest in the slopes of Virunga Volcanoes in search of the critically endangered mountain gorillas in their natural habitats. 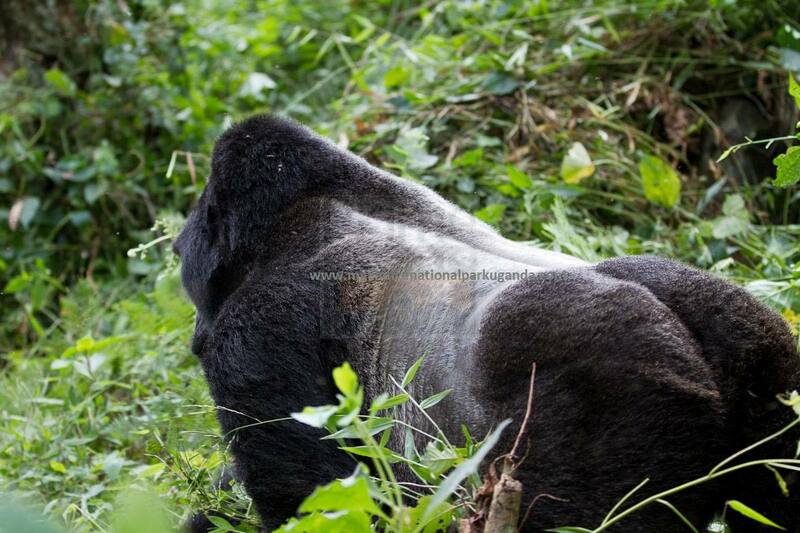 The trek for the gorillas is one of the lifetime experiences that you will always wonder to have had. Hiking the slopes and challenging landscapes is an experience in its self while the magical scenery of the Virunga Volcanoes, the rolling hills of Rwanda, impressive flora and the birds combine to make the gorilla trek to go beyond only gorillas. 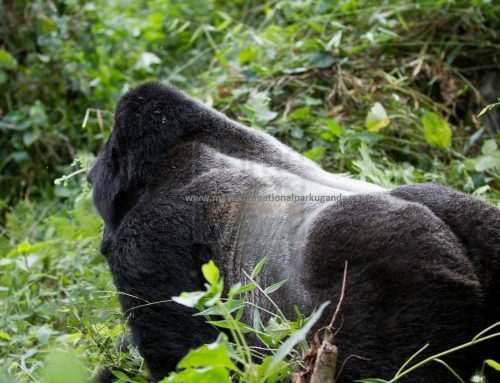 The one hour of direct encounter with the gorillas is availed to you upon reaching them and will be utilized maximum by asking the questions that you wish to know about gorillas from the Ranger, taking life time pictures and viewing of the gorillas themselves. Retreat from the activity which tends to last 2 – 8 hours to the starting point after your picnic lunch and then transfer to Kigali city driving along the rolling hills of Rwanda dubbed the land of a thousand hills.